Sign this petition to make A Walk on the Wild Side: Transfer Animals to Reputable Sanctuaries Now! 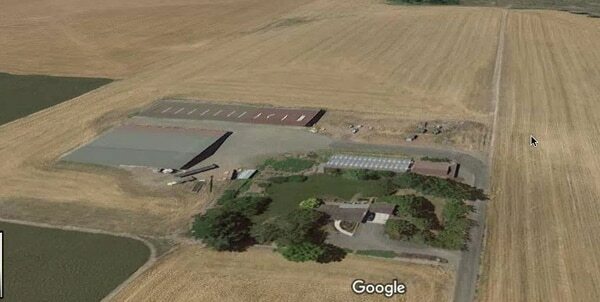 (also known as Toucan’s Exotic Animals) is a traveling fairground exhibit and pseudo-sanctuary based in Canby, Oregon. 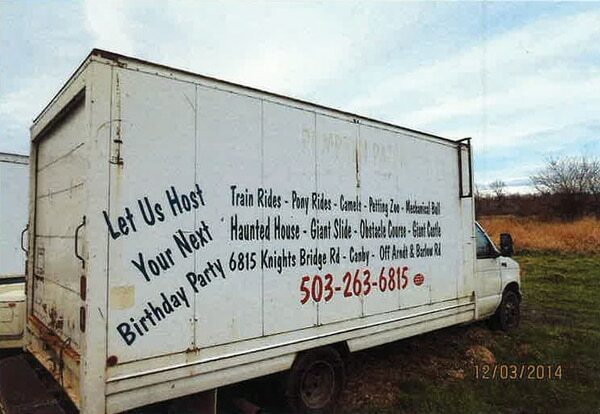 It is owned and operated by Steve Higgs and Cheryl Jones. 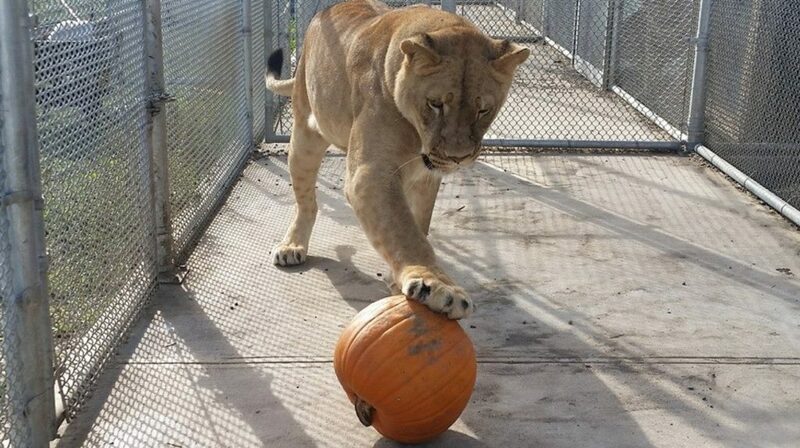 Although they are licensed as a nonprofit organization, claim to be a “rescue”, and are legally permitted to house exotic animals confiscated by the state, they have admitted that they are not a sanctuary and do many things that responsible rescues would never do. 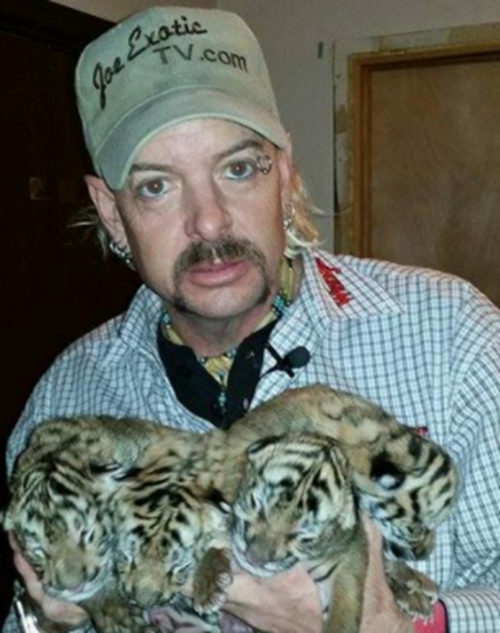 These include exploiting tiger cubs for $30 photo-ops; breeding and buying animals for display at fairs; threatening and insulting those who criticize them; renting out animals for parties and commercials; and advocating for the “right” of circuses, roadside zoos, and private owners to own, breed, and exploit endangered species. 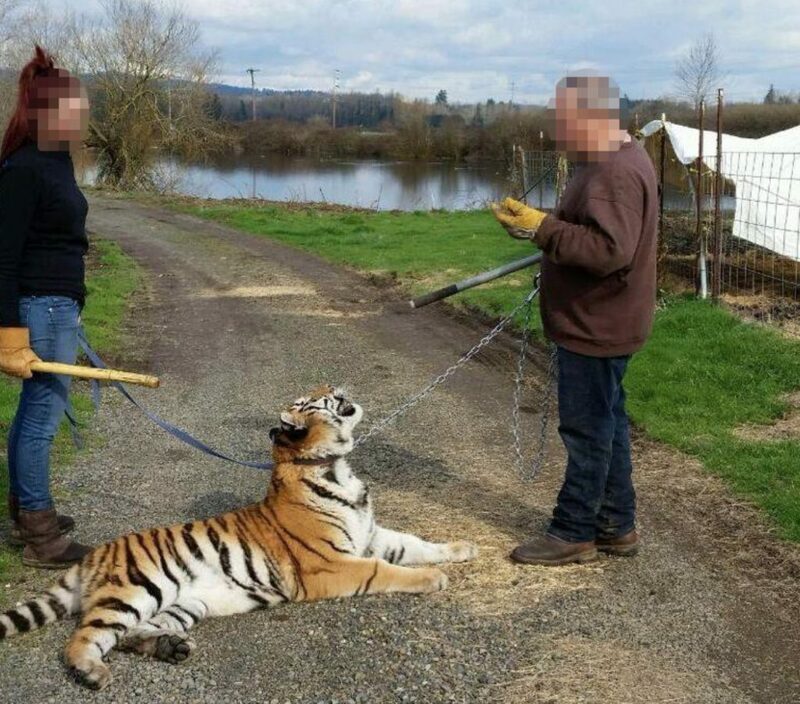 A Walk on the Wild Side has had multiple violations of the Animal Welfare Act, and in 2015 public visits to their facility were shut down by Clackamas County officials who found “too many violations to list” of zoning and building codes. 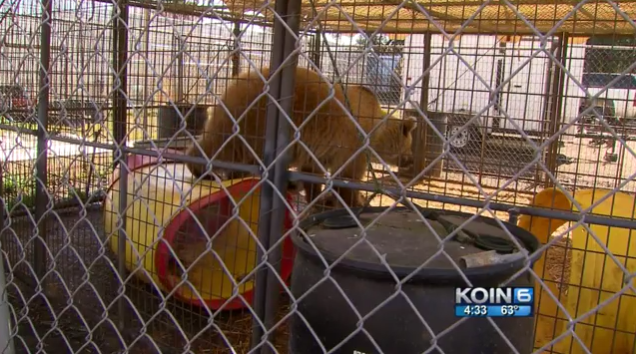 Inspectors found that trailers were being used as “nurseries” for baby animals, that other animal enclosures consisted of small chain-link pens covered with tents, and that the zoning under which the property was registered prohibits the facility from being open to the public. 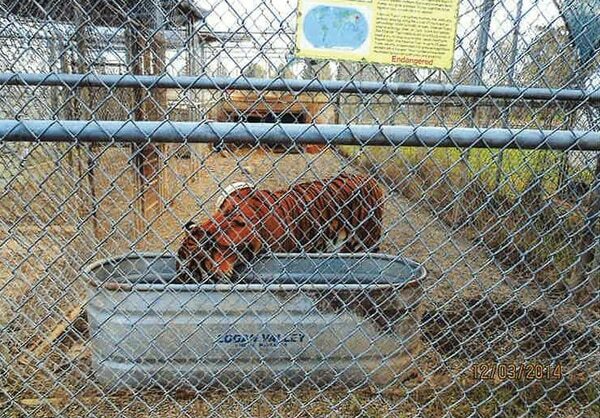 When ordered by county officials to build permanent structures to house their animals, A Walk on the Wild Side claimed that they had “no funding” to do so, even though they lamented to a local news station that they made over $50,000 a month from facility tours alone. The organization also does not own any land and is currently in the process of relocating to an equestrian center in Hillsboro, Oregon, creating an unstable situation for their animals. A Walk on the Wild Side estimates that over 2 million people visit their exhibit each year, and have no qualms about renting out animals for private parties or displaying them at large festivals featuring fireworks and blaring rock music. 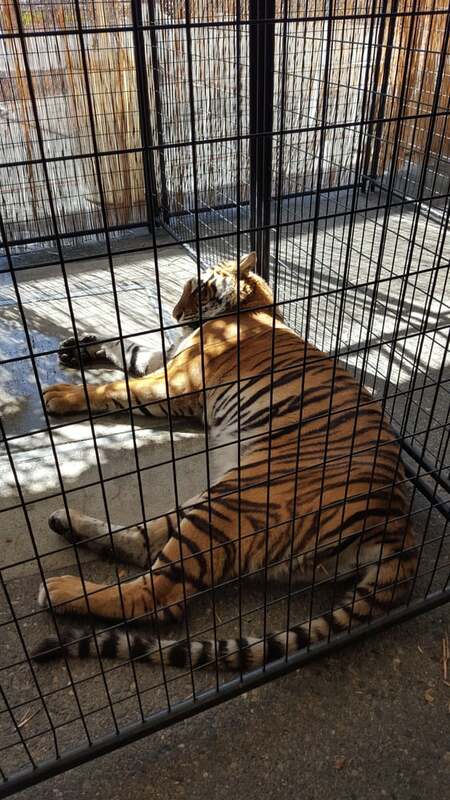 They try to justify this by claiming that their rescued animals are never taken to fairs and that their “ambassador animals” were all hand-raised, but no reputable sanctuary would subject any big cat to the noise and stress of a county fair, or rescue some animals while exploiting others. The above photos were taken at A Walk on the Wild Side’s fairground exhibit. 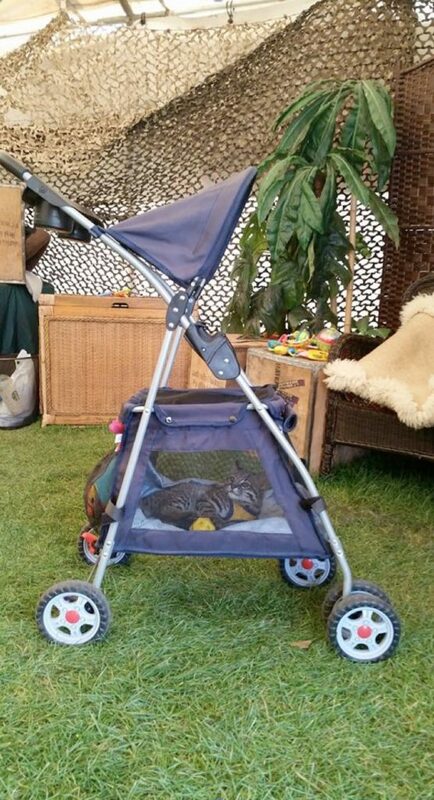 This young Geoffrey’s Cat was being displayed at a fair in a baby stroller. 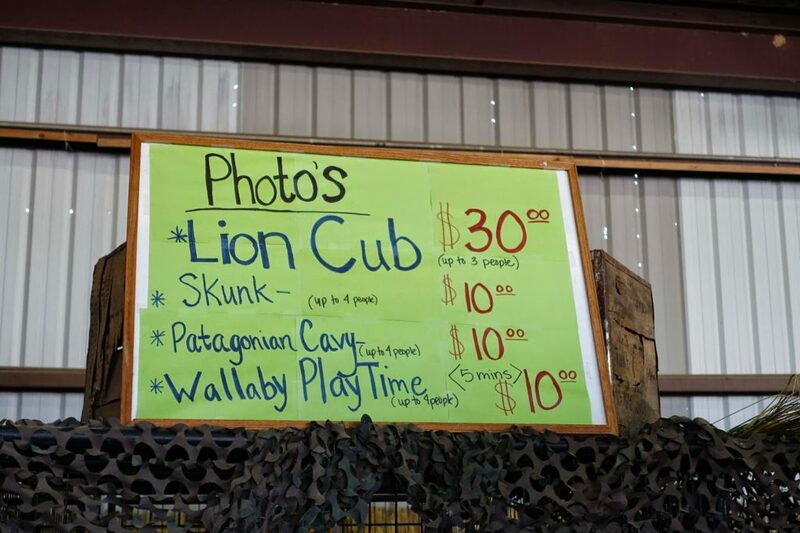 During the fair season, A Walk on the Wild Side has a seemingly constant supply of baby big cats, to the point that their staff are expected to work “solely with big cats between the ages of six and 16 weeks.” These cubs are used as photo props in A Walk on the Wild Side’s jungle-themed photo booth, which charges fairgoers $30 to pet and take a photo with a baby tiger, lion, cougar, bobcat, serval, or lynx. Cub-petting is an extremely irresponsible and inhumane practice which no true sanctuary condones. A screenshot from A Walk on the Wild Side’s website. 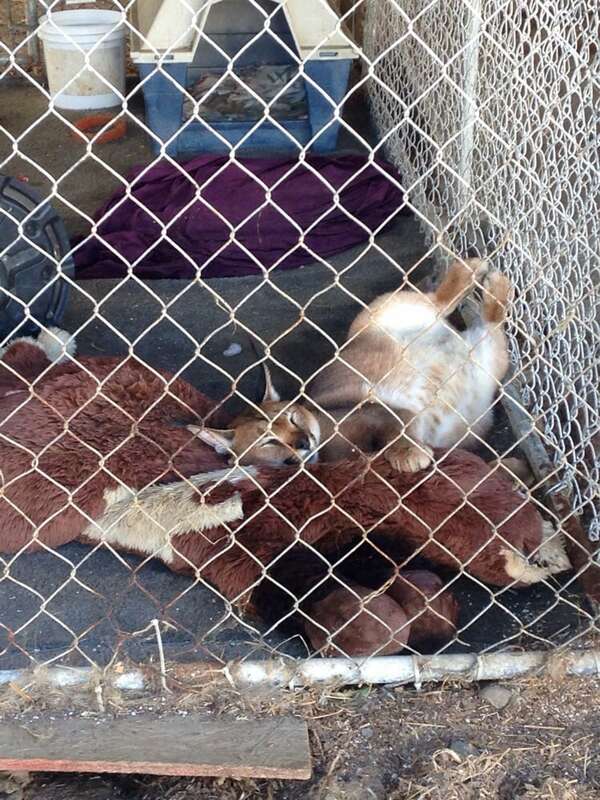 Legitimate sanctuaries do not provide animals for events, breed cubs, or allow the public to handle animals. In an industry newsletter, A Walk on the Wild Side writes that their exhibit cubs “are usually given anywhere from 10-12 hours of hands-on, daily interaction by our handlers.” That’s virtually constant handling of a baby that needs to rest, roam, and play to develop properly. Pictures taken at their photo booth show cubs with open sores on their noses from rubbing their faces on the bars of their travel crates, and although the exhibit claims that the cubs “only work when they want to,” a local news segment filmed at the Oregon State Fair shows a growling, squirming 12-week-old tiger cub named Siri desperately struggling to escape from the arms of a newscaster while Steve Higgs encourages viewers to pay to hold the cub, too. 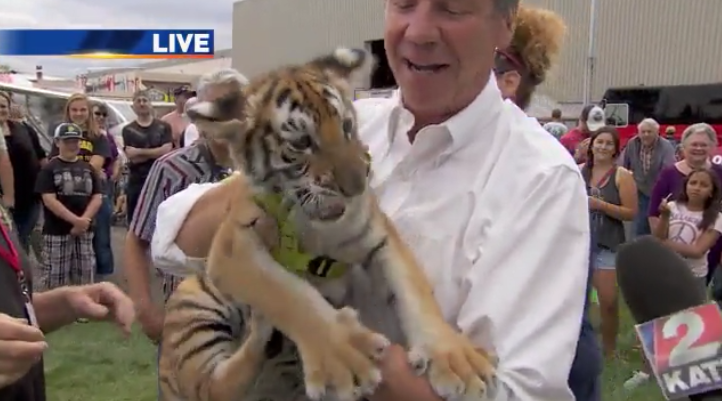 The cub is so visibly distressed that the news station’s description for the footage admits that “[the] baby tiger wasn’t happy at all about being held.” In 2015, A Walk on the Wild Side encouraged people to visit their farm to pet a tiger cub that was 15 weeks old, past the 12-week age limit established by federal USDA guidelines. Photos of A Walk on the Wild Side’s fair exhibit cubs show visible wounds on the animals’ noses. 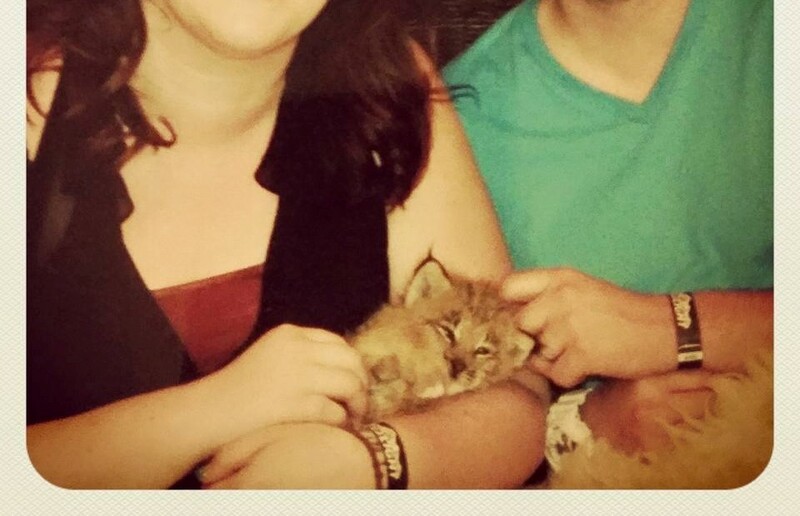 A very tiny lynx kitten being exploited by A Walk on the Wild Side at a fair. 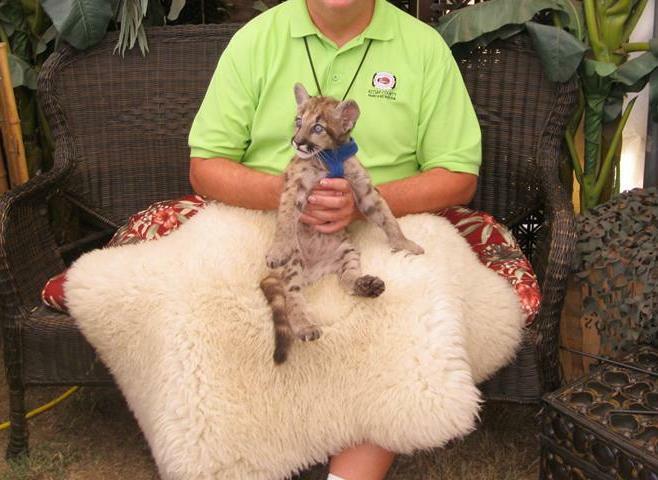 Occasionally, baby bobcats, servals, and cougars are also used as photo props. 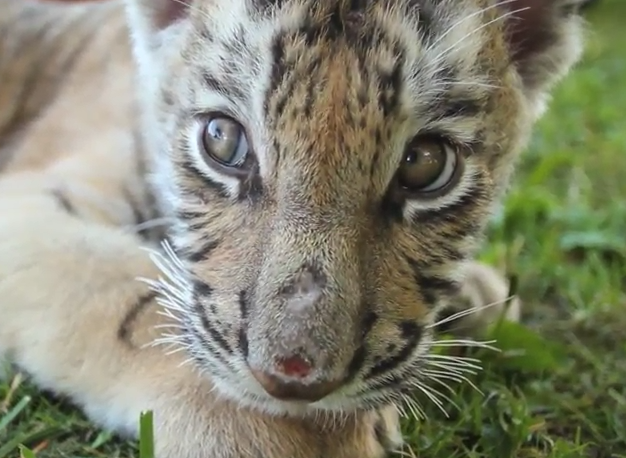 This extremely stressed tiger cub was filmed at a fair by a local news outlet. 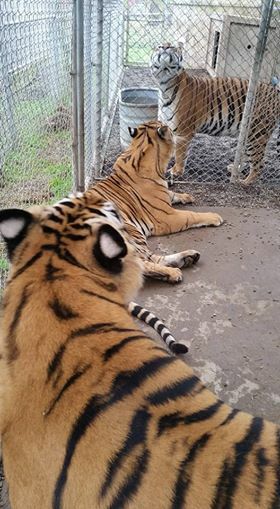 Although A Walk on the Wild Side tells patrons and the media that their cubs were “rescued”, many are bred on-site (the facility brags about having “breeding programs with other places”) or are purchased from disreputable private breeders and roadside zoos, including Dade City’s Wild Things and Living Treasures Wild Animal Park. And while signs posted at the cub photo booth claim that the money raised by selling photos “benefits the animals”, A Walk on the Wild Side’s promotional video informs fairs that “the point of all this is to have a fun and profitable experience,” and exhibit staff have been caught boasting in profanity-laced Facebook posts about how “exploiting their animals” has made them “so rich” — even as their facility claims to not have enough money to build permanent enclosures for their animals. Would an employee of a responsible sanctuary ever post something like this? Once the cubs are too large to use for photo-ops, A Walk on the Wild Side sometimes sells them to other private owners and backyard zoos. In an industry newsletter, an employee of A Walk on the Wild Side admits: “We often agree to take in cubs, feed, house, love, and raise them temporarily, so that they can properly and safely be placed with another accredited facility to live out their lives. We have donated many cubs to smaller zoos throughout the Northwest.” This directly contradicts the feel-good claims made on their website that A Walk on the Wild Side “provides a home for life” for their animals, and perpetuates the cruel cycle of “breed, exploit, and dump” that true sanctuaries are trying to end. 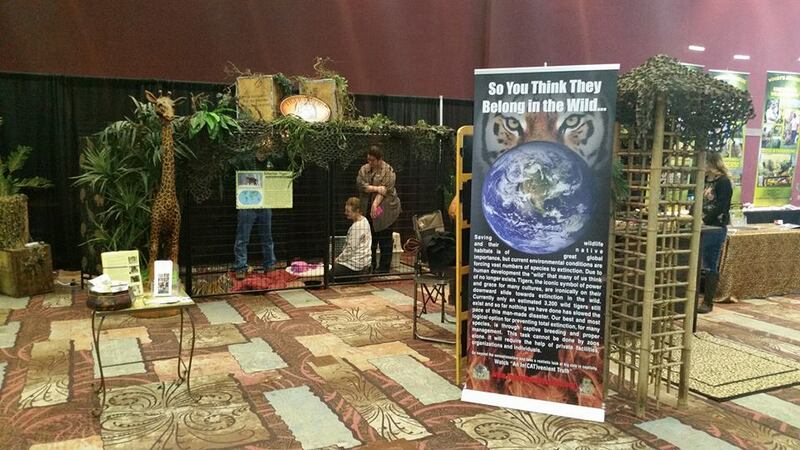 Like most exhibitors, A Walk on the Wild Side claims that they exist to educate people about wildlife. But instead of teaching patrons about the role that their animals play in the wild, explaining that wild animals make poor pets, or that the private trade in big cats is harmful, they’ve stated that their primary goal is to “educate the public about responsible animal ownership.” Their exhibit is designed to “teach” people that their big cats don’t belong in the wild, and that the breeding, exploitation, and trade of endangered animals by private owners is a form of “conservation,” even though virtually all reputable conservation groups warn that it’s not. At their exhibit, A Walk on the Wild Side displays a large “educational” poster that says “So You Think They Belong in the Wild…” The poster was written by a group which lobbies for the private ownership and trade of big cats, and makes the inaccurate claims that “the wild” no longer exists, that accredited zoos “aren’t doing enough” to save species, and that the only way to save tigers from extinction is with the “help” of private owners, breeders, and exhibitors. Another sign, posted on the cage of what A Walk on the Wild Side claims is a Barbary Lion, includes virtually no information about the species, and instead features a generic message “informing” readers that “legislation trends which threaten to ban private ownership of endangered species” would “speed their extinction.” These claims have been debunked by real conservationists, who warn that the private trade in endangered species is harmful, not helpful. And what about the cub interactions? A Walk on the Wild Side claims that allowing the public to physically handle an animal increases the public’s knowledge and support of the species. But in a video advertising their cub photo booth, A Walk on the Wild Side mentions that “many people ask us if they can take the tiger home” — not the kind of “educational message” a sanctuary should be sending. When not being exhibited at fairs, A Walk on the Wild Sides’ 174+ exotic animals live at a farm in Canby, Oregon that is being leased from a local concrete company. The big cats appear to be housed in rows of tiny, gravel-floored chain link dog runs with no natural vegetation and poor drainage. In some cases, enclosures are held together with plastic zip-ties and rope. 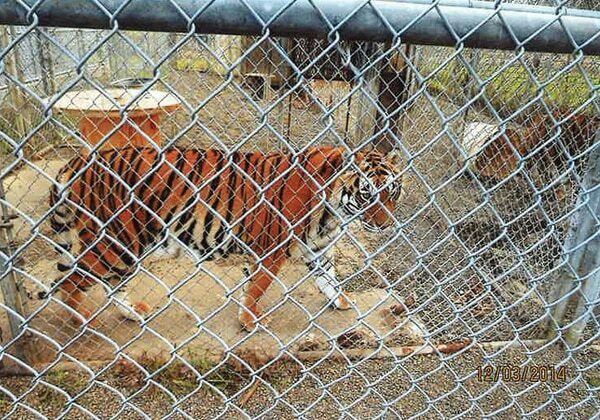 These enclosures are perfectly legal under USDA regulations, which is why having USDA “accreditation” is nothing for a facility to brag about. 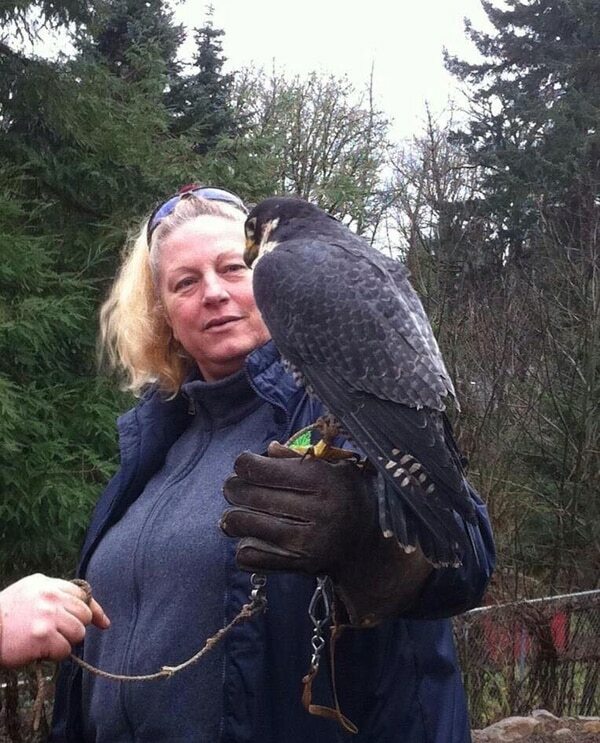 Photo taken at A Walk on the Wild Side’s pseudo sanctuary in Canby, Oregon. 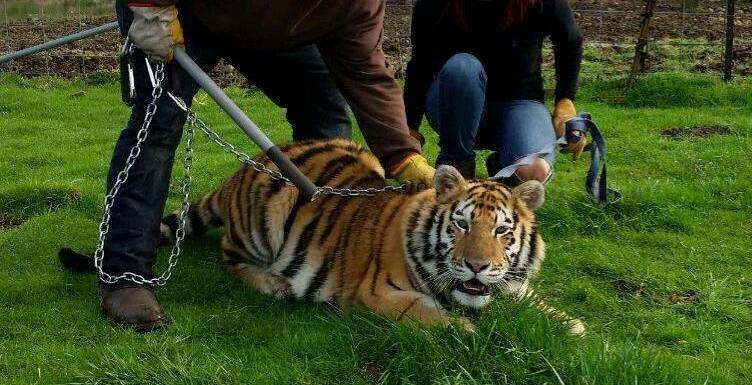 A Walk on the Wild Side has racked up at least 8 violations of the federal Animal Welfare Act since 2009, including failure to provide inspectors with animal transfer records; inexperienced staff; failure to maintain adequate barriers between the public and tigers; and failure to provide animals with adequate veterinary care and housing. 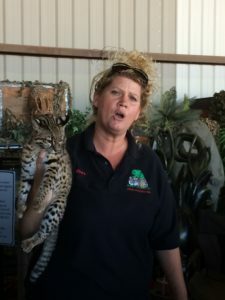 According to USDA inspection records, one of the staff, as of December 2009, only had 3 months of on the job experience working with big cats, and liked to let the cats “comb his hair.” In 2014, an inspector found that an enclosure holding a pig, a red fox and two young tigers contained excessive water after an overnight rainstorm, leaving the animals without adequate dry space (she noted that plans were in place to remedy the problem later that day). 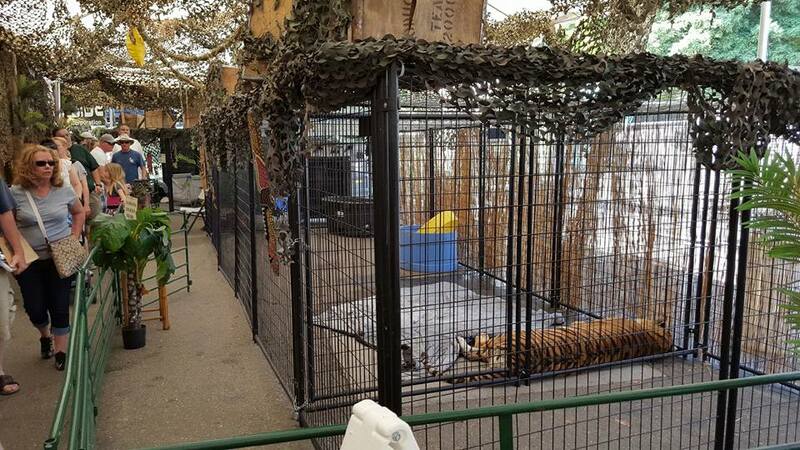 In September of 2012, A Walk on the Wild Side was written up for failing to maintain adequate separation between animals and the public after a spectator at an expo approached a transport cage holding an adult tiger and touched the animal’s face. 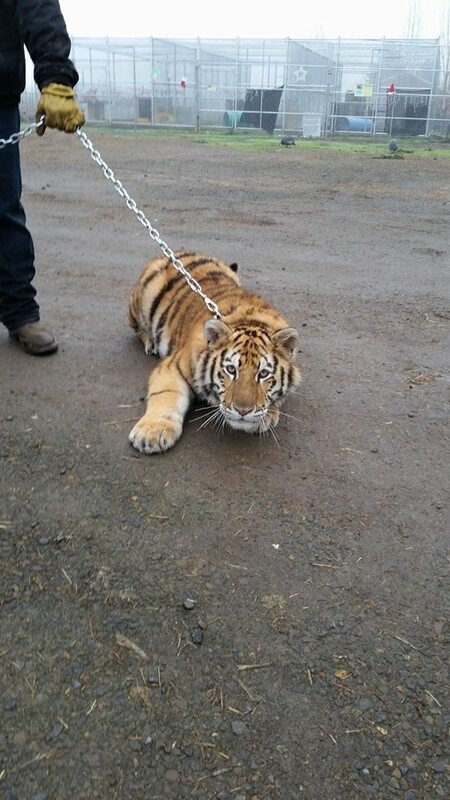 Multiple pictures taken behind-the-scenes at the “sanctuary” and posted online show staff members holding metal pipes, wooden canes, and broom handles while “walking” an adolescent tiger on multiple leashes and chains. 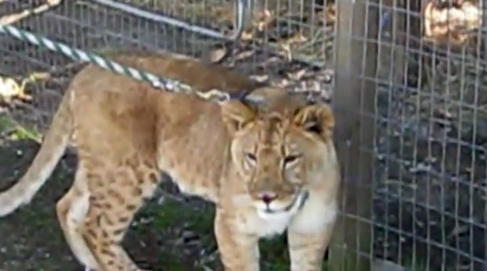 Another photo, taken from A Walk on the Wild Side’s promotional video, shows an adolescent lion that appears to have an abrasion on its nose being walked on a rope. 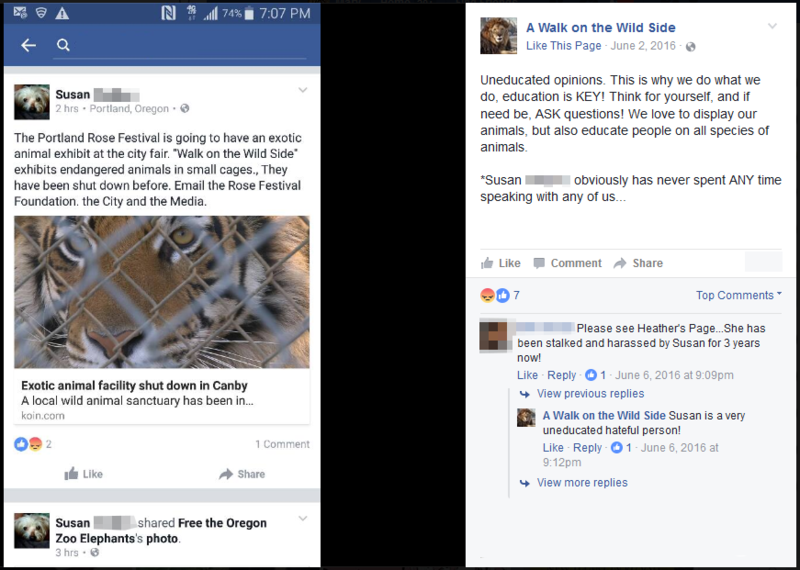 While genuine sanctuaries protect animals from exploitation and welcome questions about their animals, A Walk on the Wild Side advocates for the use of big cats in entertainment and is extremely hostile and rude towards anyone who has concerns about their animals’ welfare. 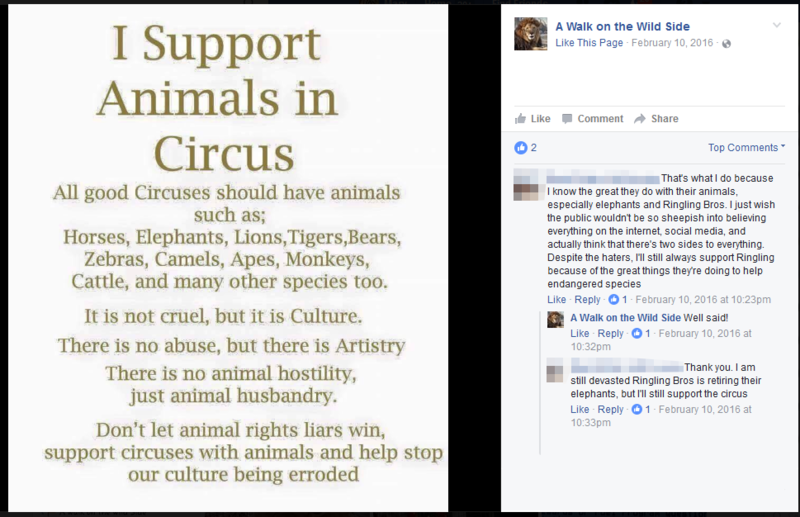 Facebook postings by the “sanctuary” openly support the use of elephants and big cats in circus acts, accuse all responsible sanctuaries and animal welfare groups of being “PETA” and “killing animals,” and mock those who disagree with them, stating that “we welcome positive comments and opinions, not those from uneducated people!” This is not the behavior of a professional organization. 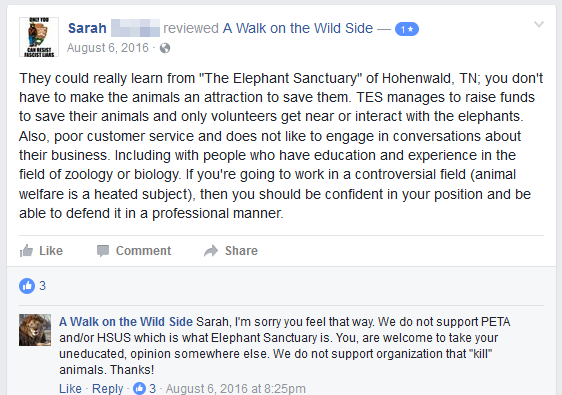 Here, A Walk on the Wild Side admits that they are not a sanctuary, while shaming and threatening the original reviewer for “online bullying” and leaving a “false review”. 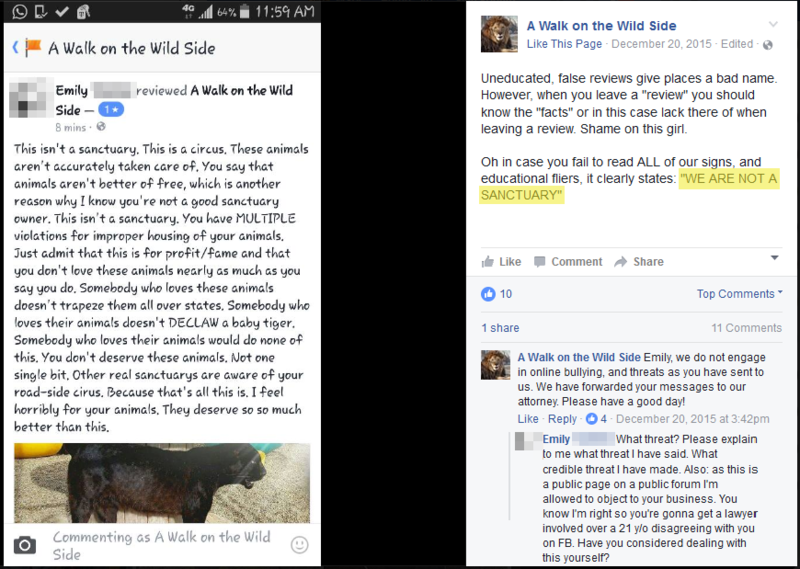 To sum it up, this “sanctuary” openly advocates for the private breeding and exploitation of exotic animals, houses them in substandard conditions, and bullies anyone who questions their practices or their industry. 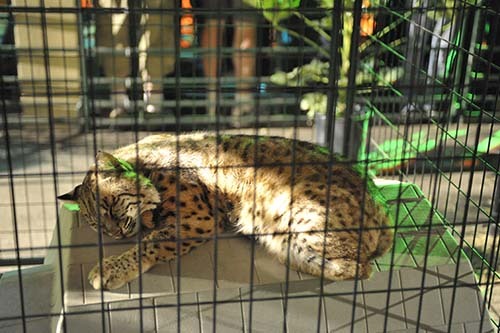 Events that host them are supporting the private ownership and trade of endangered big cats, and NOT a responsible rescue. 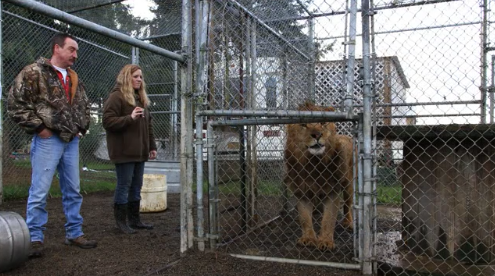 A Defiant Couple Is Caging Big Cats in the Portland Suburbs. Should Anybody Stop Them? The animal lovers behind this nonprofit say they are farmers. What kind of farmers? Tiger farmers. What is Cheryl Jones hiding? Two months ago, Jones and her partner, Steve Higgs, moved much of their family business to an old horse farm outside Hillsboro. Parts of the 80-acre property can be seen just south of Highway 26, but most of the land is tucked behind the tree line. 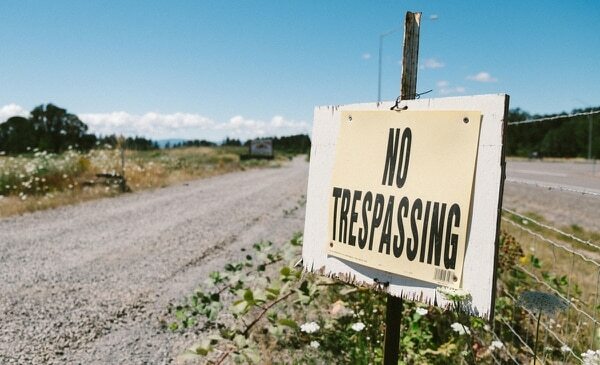 “No Trespassing” signs line the half-mile gravel driveway. 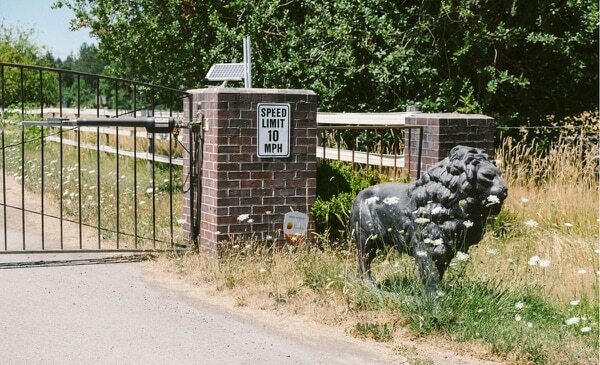 A metal security gate flanked by two stone lions blocks visitors from the farmhouse where Jones and Higgs have set up shop. Jones and Higgs run one of Oregon’s odder nonprofits: A Walk on the Wild Side, a charity whose purpose, according to tax forms filed with the Internal Revenue Service, is “educational.” Its mission: to house exotic animals and transport them in a fifth-wheeler up and down the West Coast to county fairs and birthday parties. Higgs manages the business of the nonprofit. Jones is the self-taught animal handler. Since their move to Hillsboro in May, Jones and Higgs have stirred up the largely rural neighborhood. A Walk on the Wild Side’s new home sits among properties that are typically more than 80 acres in size, and are home to blueberry fields and horse stables. But it’s also less than a four-minute drive to a McDonald’s and a Subway. In other words, it sits at the edge of regional planning agency Metro’s urban growth boundary. A number of neighbors say Jones is a menace. 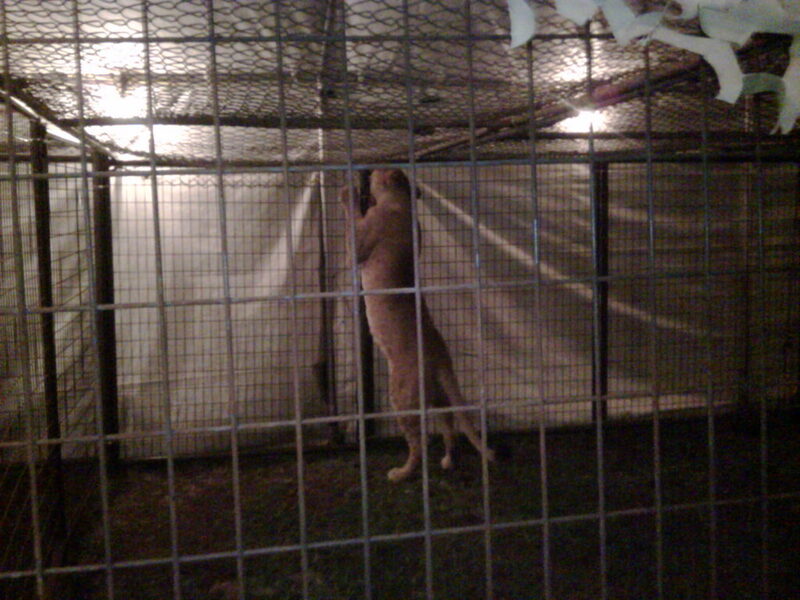 Former neighbors say she keeps her animals in cages too small. Washington County planning officers say she’s flouting regulations. Her landlord, on the other hand, calls her a freedom fighter. Just don’t ask to visit their new home. This much is certain: At dusk in Washington County, the roar of lions can be heard from more than a mile away. 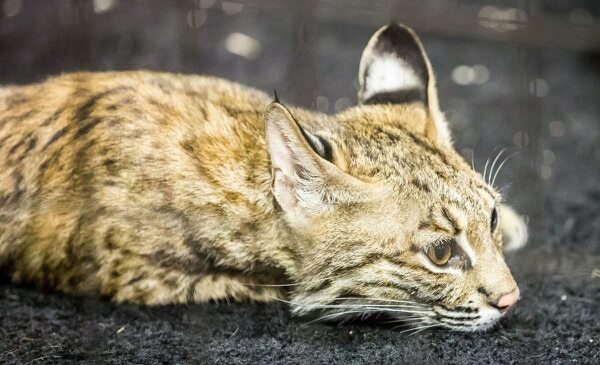 That’s because Jones and Higgs are assembling one of the largest collections of big cats in the state. 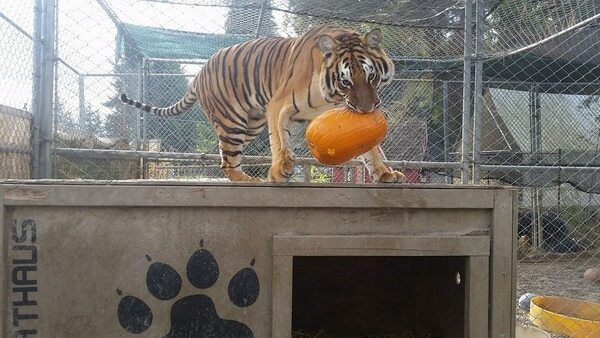 Their farm, a 30-minute drive from downtown Portland, holds nearly twice as many lions and tigers as the Oregon Zoo. No government official has inspected the property since they moved the cats in. Jones and Higgs declined to allow WW to see the animals, saying the publicity could embolden regulators trying to shut them down. For two decades, allegations of animal neglect and insufficient safeguards have dogged the couple—part of the reason they left their previous location, in Canby, 26 miles south of Portland along 1-5. But those complaints, often filed by neighbors, have almost never been substantiated. In fact, the couple have only once been cited for criminal animal neglect, in 2002, and the charges were later dropped. Yet their new home could be short-lived, for reasons that stem not from animal welfare protections but land-use laws. 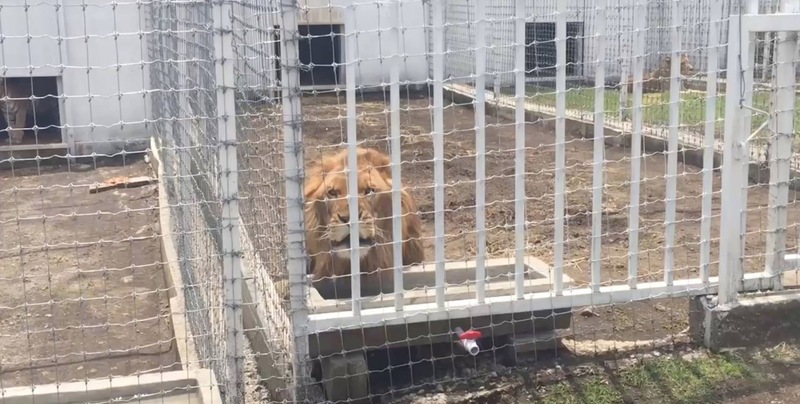 In June, Washington County officials sent Jones and Higgs notice that the property they are now renting for A Walk on the Wild Side isn’t zoned for exotic animal exhibits. It can only be used as a farm. Jones and Higgs, who have several decades’ experience dealing with adversaries, say—with completely straight faces—that’s exactly what it is. A farm. And what are they farming? 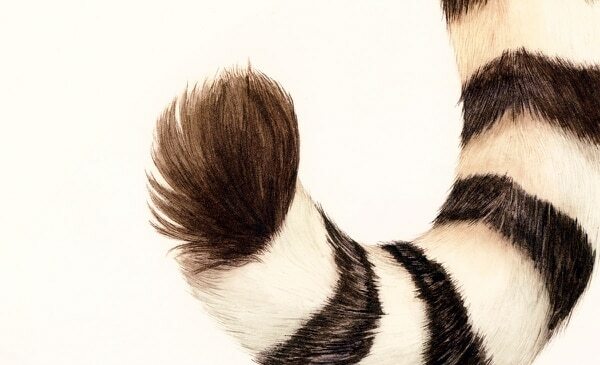 Tiger poop. 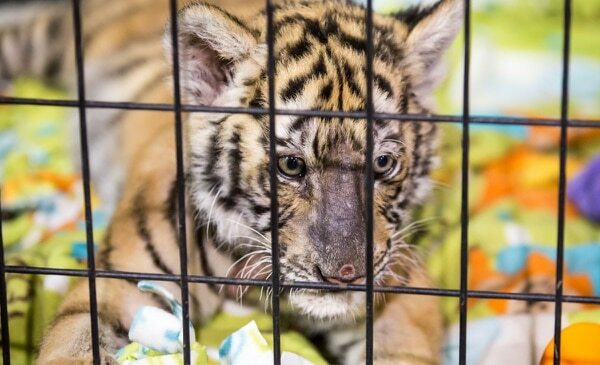 Zarah, a 3-month-old Bengal tiger cub, has spent most of her short life on the road: the Stockton County Fair in California, the Jackson County Fair in Southern Oregon, and Portland’s own Rose Festival. Because she’s still so small—45 pounds, about twice the size of a housecat—she gets to sit in the cab of Jones and Higgs’ van and sleep with them in hotel rooms. Jones feeds her formula from a bottle. At each stop, A Walk on the Wild Side charges fairgoers $30 to pick Zarah up from behind and hoist her into the air, like Simba being offered to the sun in The Lion King. 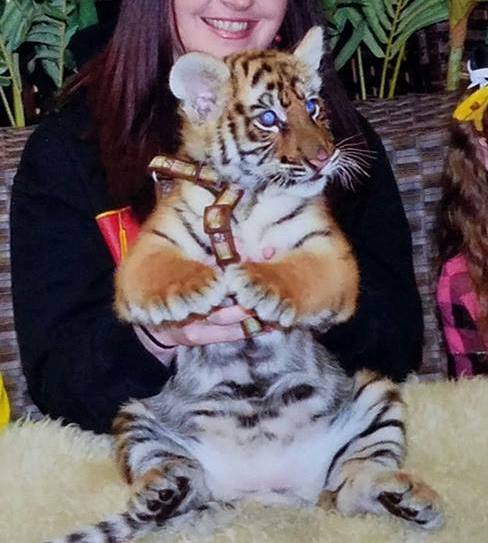 Jones and Higgs also take cubs to birthday parties and other private events, charging $200 to add a tiger to elaborate photo ops with partygoers dressed as Aladdin and Jasmine. On occasion, they waive the fee. Mindy Hegstad’s son Jay is terminally ill with a rare genetic condition. Hegstad, who lives in Longview, Wash., called Higgs recently and asked if he would bring one of his big cats to Jay’s 11th birthday party on July 1. Higgs brought Zarah for free. Cheryl Jones rescued her first animal when she was 12 years old and living on a Portland houseboat with her family, which had moved there from Pasadena, Calif. It was a seagull with a fishhook in its beak. Ever since then, she’s been in love with wild animals. Jones and Higgs look as if they could be twins: straw blond-haired, tanned and clad in matching black polo shirts with a lion and tiger embroidered on the breast pocket. The pair met 37 years ago at a Portland riding stable. She had worked as an operations manager at horse and greyhound racetracks. He had studied to become a physician’s assistant but dropped out of school to take care of his kids when his first marriage fell apart. When they moved in together in Sandy, people started bringing them farm animals. At first, it was donkeys, horses and goats that had been abandoned by their owners. 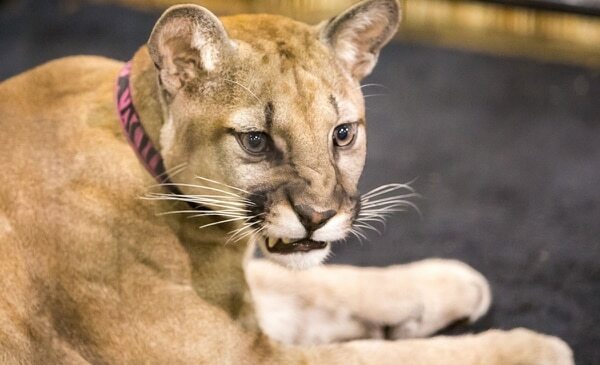 But in 1987, they took in a cougar from the litter of a friend’s cat. Keeping a big cat is perfectly legal. 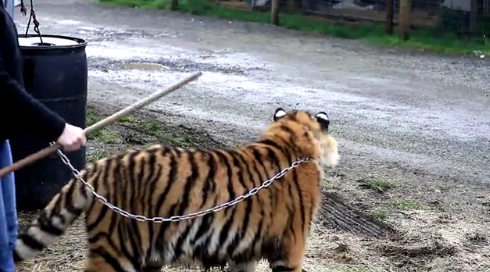 There are more tigers in American backyards than in the jungles of Asia. 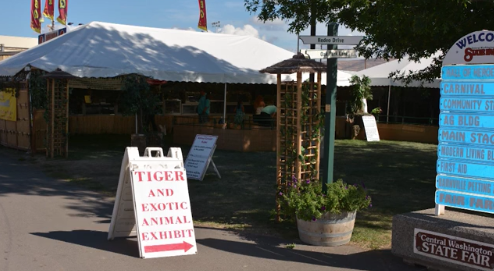 The U.S. Department of Agriculture licenses about 2,600 animal exhibitors nationally, including roadside zoos, circuses and private rescue organizations. A Walk on the Wild Side is one of them—and has been since the early 1990s. 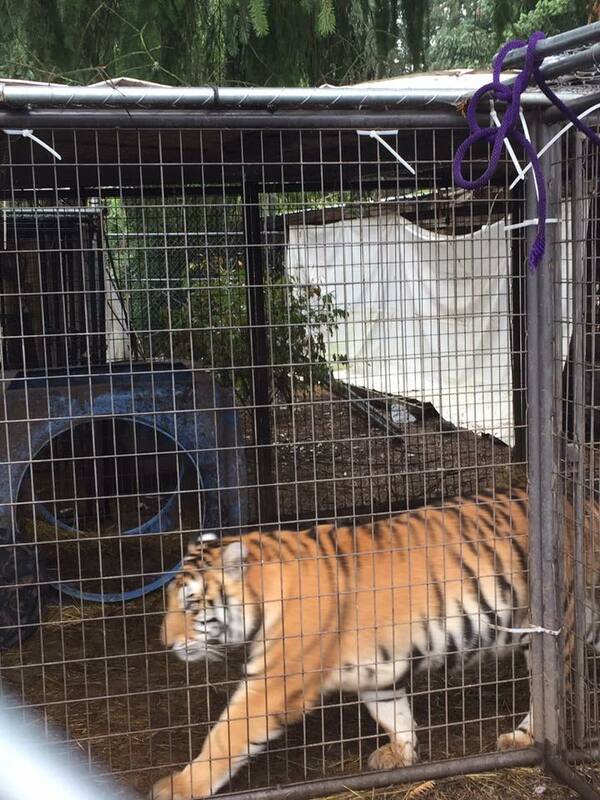 In 2011, Oregon lawmakers stopped issuing permits to people who wanted to own exotic animals as pets, after a number of high-profile escapes and maulings nationwide. But because Jones and Higgs were already licensed by the USDA, they were grandfathered in. Not only could they keep their animals, they could take in new ones. By then, Jones and Higgs had settled in Canby, on 72 leased acres. They began taking in strays in earnest—both animals and people. 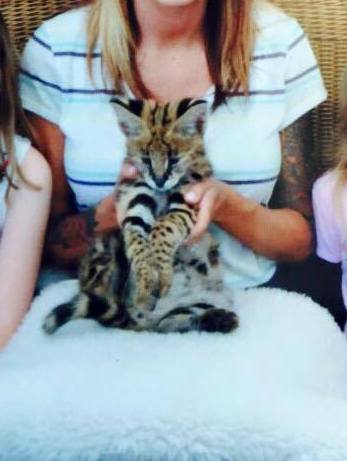 Jennifer McCall Ricke, a Clackamas County medical assistant, volunteered at A Walk on the Wild Side when she was a teenager in the early 2000s. She says Jones and Higgs would often provide lodging for their volunteers, many of whom were otherwise homeless. In 2002, Jones and Higgs brought home their first tiger, Shere Khan. And in 2009, A Walk on the Wild Side registered as a nonprofit. According to the nonprofit’s tax returns, no one takes a salary or stipend from the organization’s revenues, including Jones and Higgs. The money that A Walk on the Wild Side brings in from fairs, parties and photo ops—between $250,000 and $350,000 a year in recent years—helps pay for care of the animals, Higgs says. Anna Frostic, an attorney for the Humane Society of the United States, questions whether A Walk on the Wild Side is a charity or just a hobby. 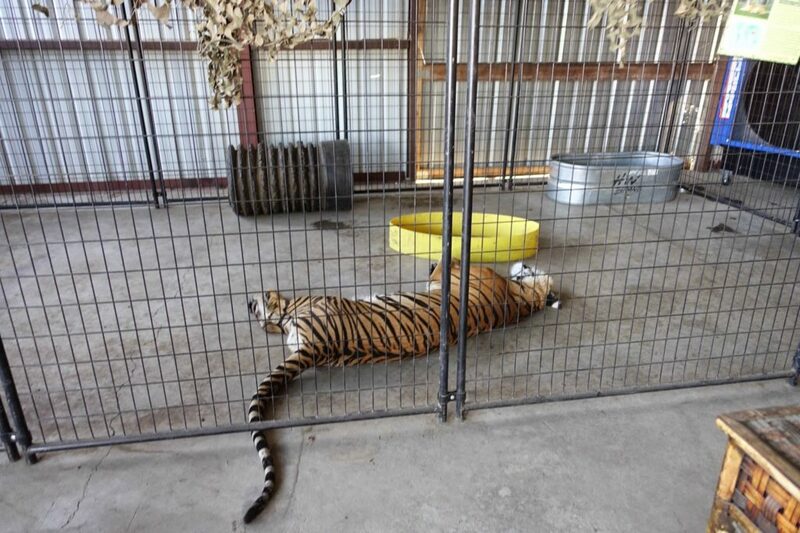 Frostic helped author a 2012 petition to the USDA asking for tighter restrictions on who may own exotic animals. She says A Walk on the Wild Side was mentioned twice in that petition for allowing thousands of strangers to hold, bottle-feed and pose for photos with baby tigers. 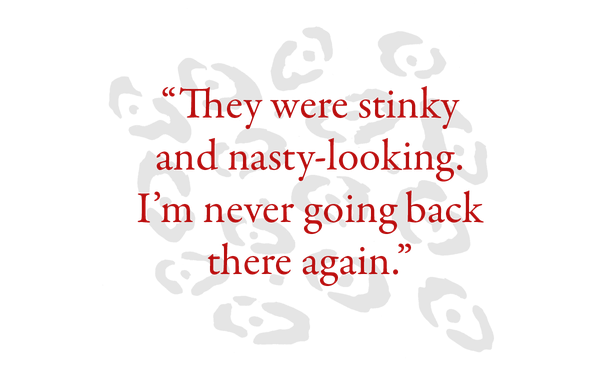 Since 2009, Higgs and Jones have been dogged by complaint calls, often from neighbors going to the Clackamas County sheriff about undernourished horses and dirty cages. 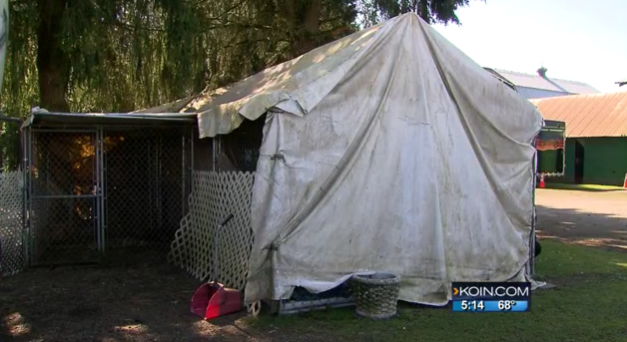 The sheriff’s office and Canby police say they have responded to 83 calls regarding the property during the past nine years. “It is an unusually high number of calls for a single property,” says Deputy Brian Jensen. In August 2009, Joanna Derungs, who lived nearby, called to report eight horses that looked too thin. In fact, records show Jones and Higgs have actually been cited only a handful of times by the USDA, for insufficient fencing, dirty cages and improper paperwork. Jones says all of those problems were minor and fixed. 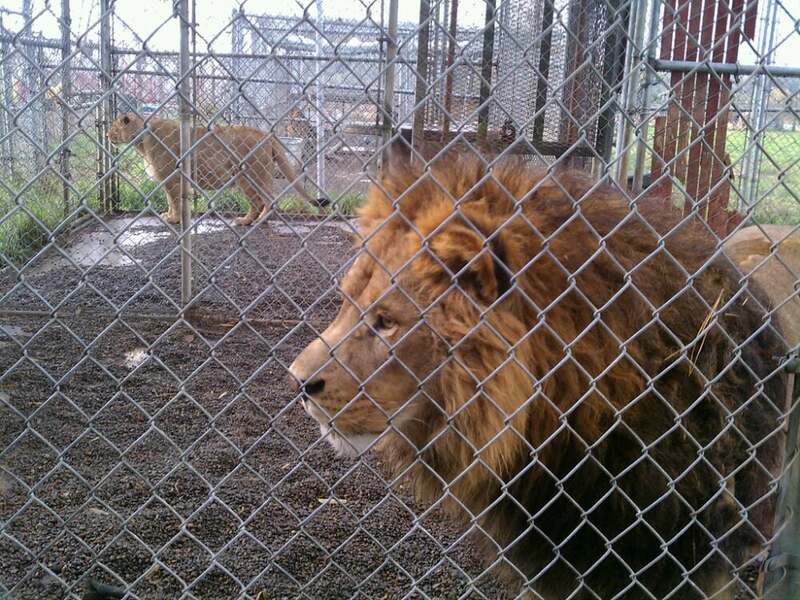 By 2012, Jones and Higgs had accumulated several lions and tigers, letting the public come and view the animals in their cages for $5 per person. Many of their early visitors also came for an annual pumpkin patch. One of those visitors was John Robinson, who came to the property in October 2013. He told WW he was so shocked by the conditions he witnessed—specifically, small, filthy cages—that he called the sheriff. So did another visitor, Christine Smith. 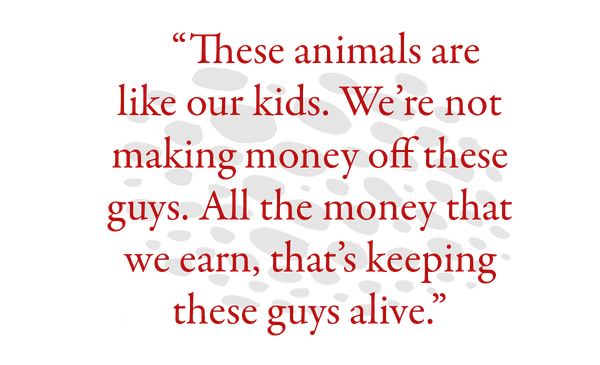 Clackamas County never found much to support the claims of animal neglect. But officials did start bugging Jones and Higgs about code violations. In 2014, Andrea Hall and Kim Priest, code enforcement coordinators for Clackamas County, inspected the property. She found piles of garbage leaning against animal cages. The fencing around the bear’s cage had been built without a permit. A barn had been converted into a reptile house, but the electrical work for lamps that kept the cold-blooded animals alive was installed without a permit, had not been inspected and left wires exposed. People were living in two unlicensed RVs that the county deemed illegally occupied. “I don’t think I’ve run into a case with such a variety of animals,” Hall now says. For more than a year, Clackamas County sent letters to Jones and Higgs about the zoning violations, which were upheld. 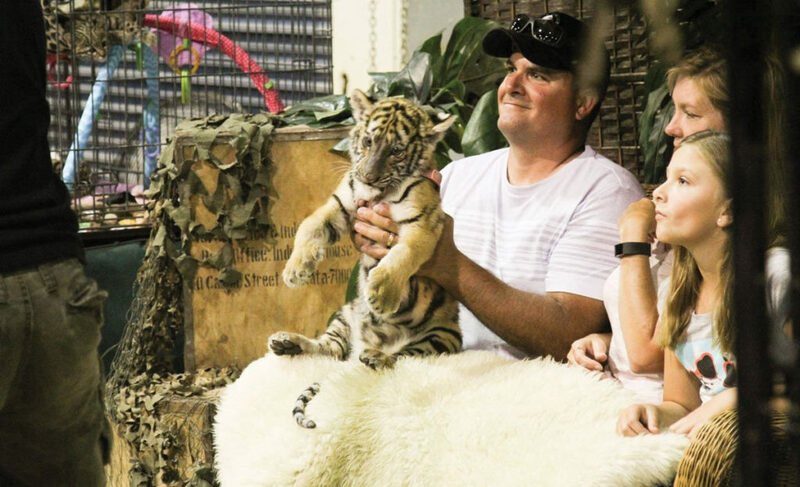 By November 2014, the couple decided to shut down their public zoo and started traveling more often to county fairs, typically bringing tiger cubs and cougars. About a year later, the Canby property they were renting was sold to a new owner. Fortunately, a wealthy patron had already invited them to Hillsboro. The property that Jones and Higgs moved to is owned by Terry Emmert, a colorful figure in Oregon business. 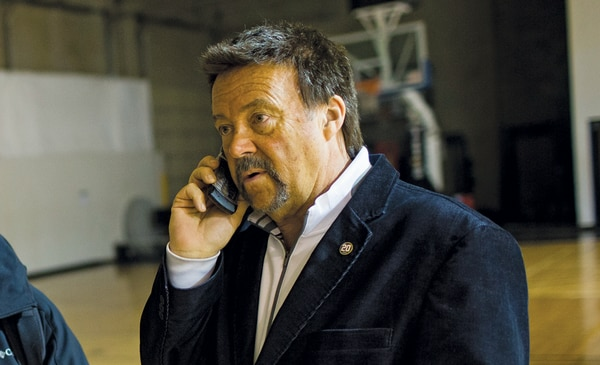 He’s a heavy-hauling magnate who briefly launched a pro football team in Portland, owns a herd of water buffalo he butchers for jerky, and has waged court battles with environmental and land-use regulators in three counties. He met Jones and Higgs at a local fair. When he heard they needed to move, he offered them a lease. And he says their battles with regulators in Canby motivated him to help. In March 2015, a full year before Higgs and Jones began their move, Washington County officials say they informed their real estate agent that the land wasn’t zoned for wild animals—it could only be used as a farm. Rita Howard, who has lived nearby on her family farm in rural Hillsboro since 1966, was aware of the restriction. Which is why she was surprised in May when she heard lions roaring. In early June, Tom Harry, a code enforcer for Washington County, got the first call about lions roaring nightly. He sent a cease-and-desist letter June 23 informing A Walk on the Wild Side that it could not keep wild animals. Jones and Higgs’ attorney, Geordie Duckler, doesn’t dispute that the couple is keeping exotic animals in Hillsboro. 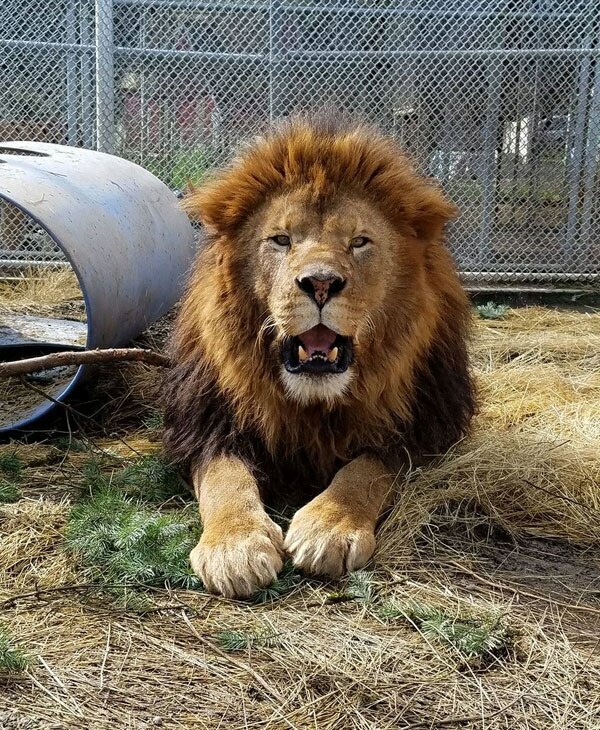 But he argued to Washington County in a June 28 letter that the nonprofit may keep big cats on the property because A Walk on the Wild Side meets the legal definition of a farm. To be considered a farm under Oregon law, A Walk on the Wild Side must produce an agricultural product. Duckler and his clients say they have one: tiger and lion dung. Higgs says he has a dozen clients buying tiger dung. Among them are cattle and sheep ranchers—but he says the biggest market is cannabis growers who want to keep pests out of their crop. Washington County officials don’t have a ready answer for Jones and Higgs’ argument. 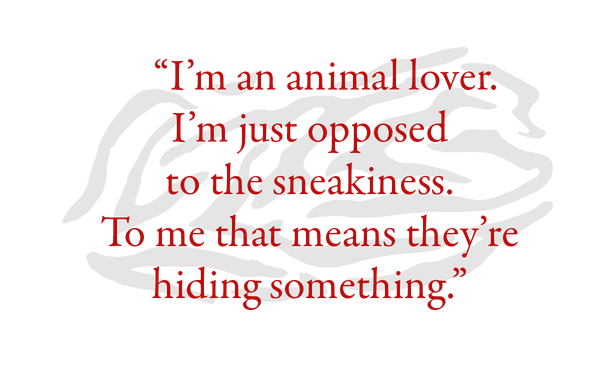 In 2013, Jones told Clackamas County officials that A Walk on the Wild Side owned sheep, goats, miniature cows, alpacas, pigs, horses, donkeys, rabbits, cavies (a large rodent), birds, kinkajous, lemurs, monkeys, bobcats, servals, caracals, a lynx, a fox, tigers, lions, a leopard, and hundreds of reptiles. 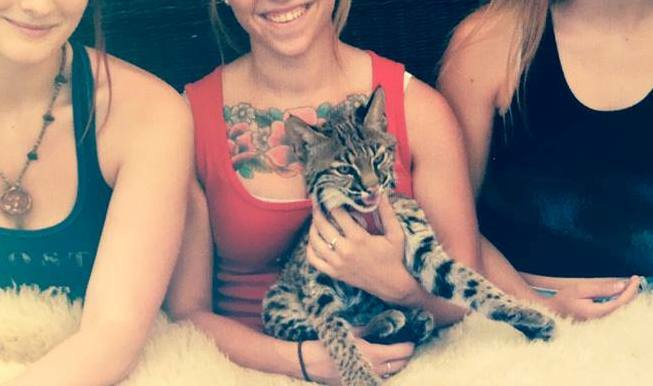 Jones also says she is successfully breeding smaller cats like servals and Canada lynx, and other animals like cavies and wallabies. The couple is adamant that they are an open book. For almost two weeks, Higgs told WW that a reporter would be welcome to tour the farm, to see how carefully it’s being run. But last week, Duckler said abruptly that WW would not be allowed on the property. When WW traveled to Jones and Higgs’ property this week to ask follow-up questions, a reporter was not allowed to view the animals. Jones says that’s because they’re gearing up for a battle with Washington County and don’t want to give their opponents any ammunition. Howard, their Hillsboro neighbor, remains worried. Jones and Higgs laugh at the idea that neighbors should be alarmed at the prospect of their tigers escaping. “We have Chihuahuas that will chase our tigers away,” Higgs adds. A Walk on the Wild Side’s next exhibit starts July 26 at the Hood River County Fair. Next month, it’ll be a featured attraction at the Clark County Fair in Ridgefield, Wash.
Washington County planning officials say they still don’t know their next move.